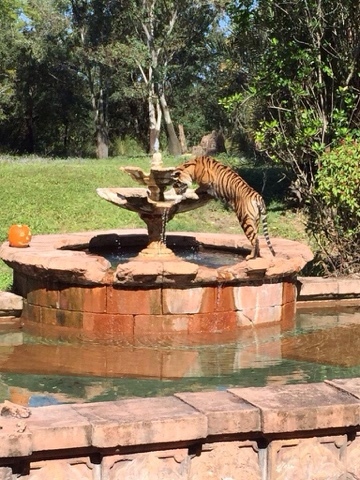 Tigers are one of the most endangered species in the world, with less than 4,000 cats in the wild. In some areas, like in Nepal, there has been hope. That country estimates about a 60% increase in the cat over the last few years. The specimens at the jungle trek were of mixed background. 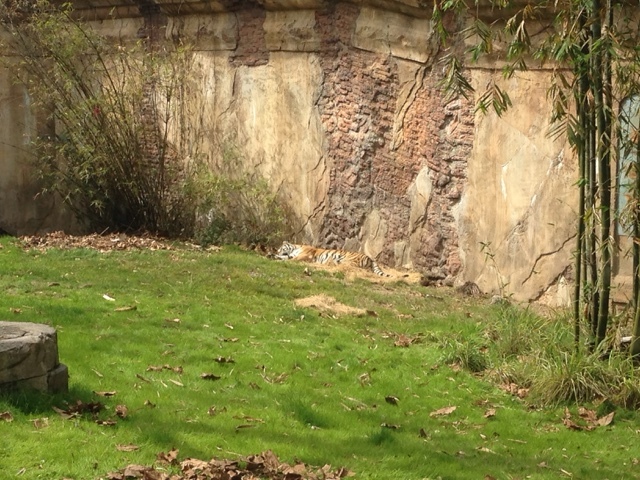 This meant they would not be bred. 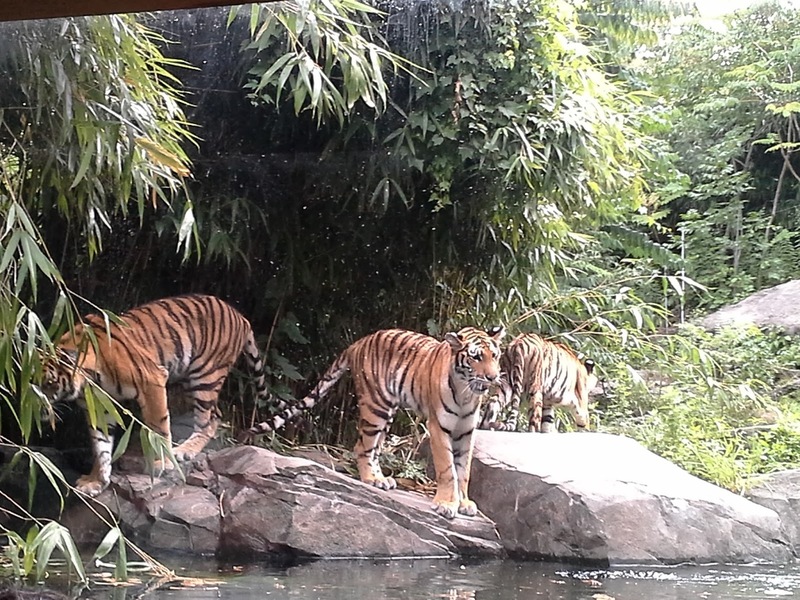 Well, now we have a male and female of the Malaysian subspecies. 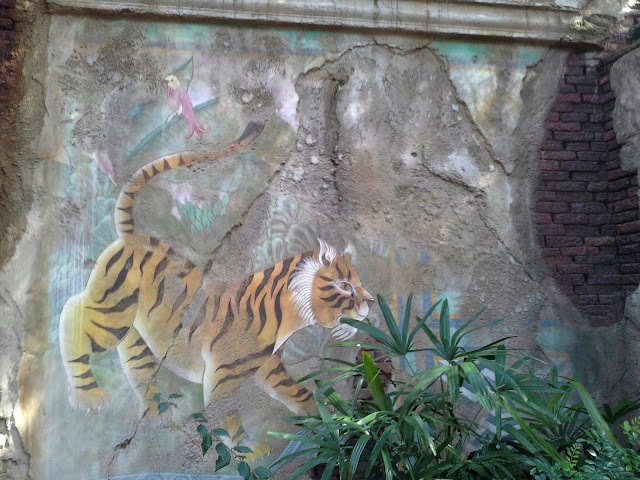 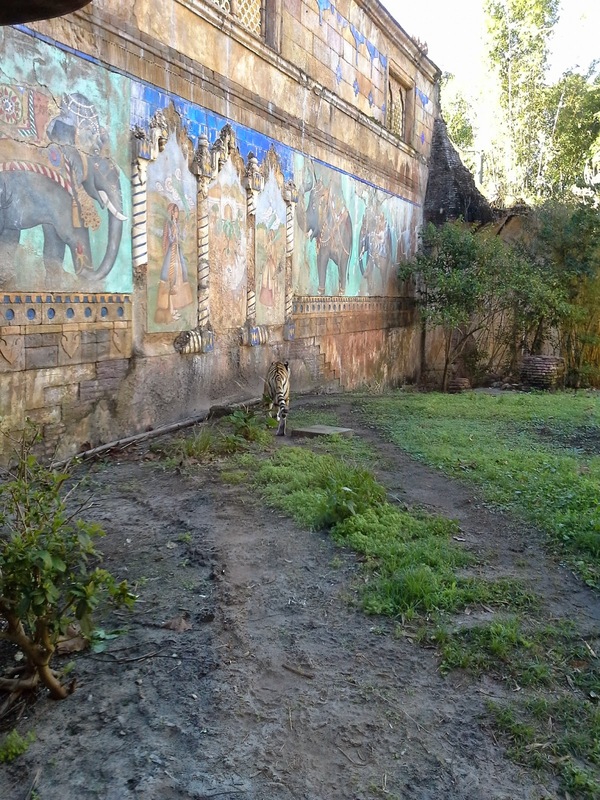 The picture above and below does display some of the amazing theming and decor of the jungle trek, which demonstrates the relationship between man and nature, As you can imagine, in that area of the world, tigers play an important role in myth and culture. 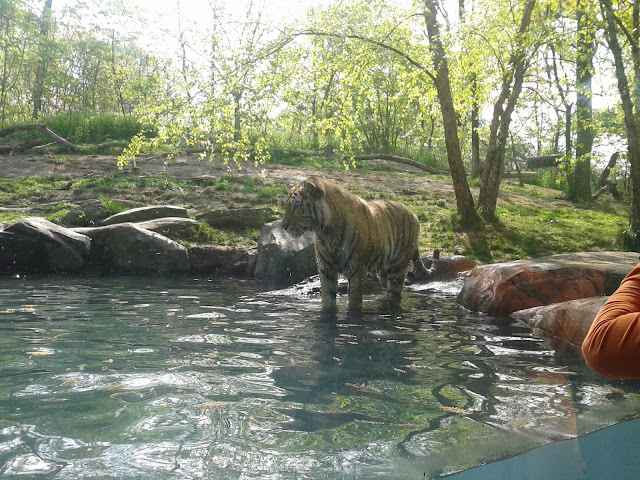 For fun, I decided to throw in some pictures from the incredible Tiger Mountain exhibit at the Bronx Zoo. 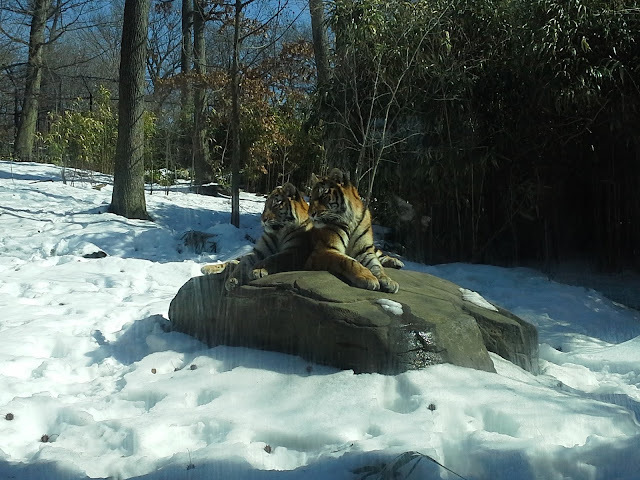 The Bronx exhibit displays the Siberian subspecies which is much bigger and, as you can see, loves the cold weather.